Scaled Composites announced the first flight of its newly developed, experimental aircraft Model 401. 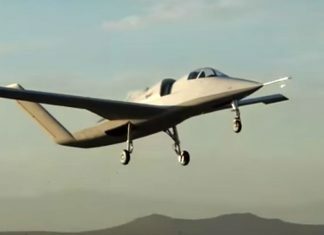 The company produced two such aircraft for an undisclosed customer, to demonstrate advanced, low-cost manufacturing techniques and research flight services for the United States government. This successful first flight is the beginning of the flight test phase for vehicle number 1. The Scaled team plans to continue envelope expansion on the first aircraft as they move toward first flight of the second Model 401 vehicle. 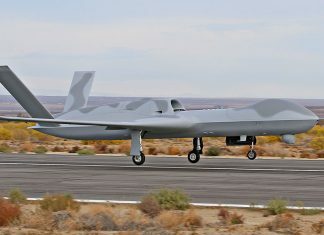 General Atomics Aeronautical Systems, Inc. (GA‑ASI), successfully performed the first flight of the Avenger Extended Range (Avenger ER) remotely piloted aircraft (RPA). 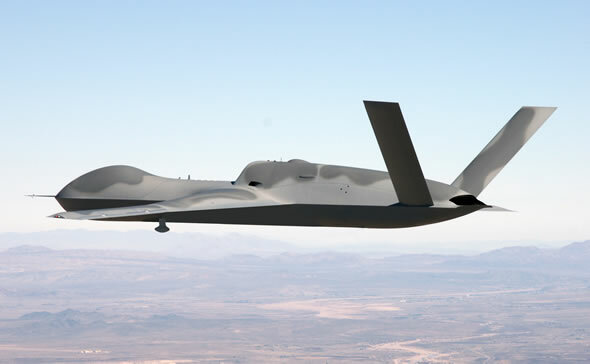 With wingspan increased to 76 feet and 2,200 pounds of additional fuel, the ER extends the legacy Avenger’s endurance from 15 hours to 20 hours. 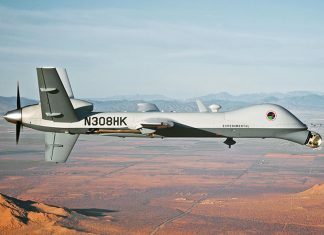 Remotely Piloted Aircraft (RPA) are currently tested with Airborne Infrared (ABIR) sensors – performing persistent, forward pickets to spot hostile missile launches and track them through their flight trajectory. 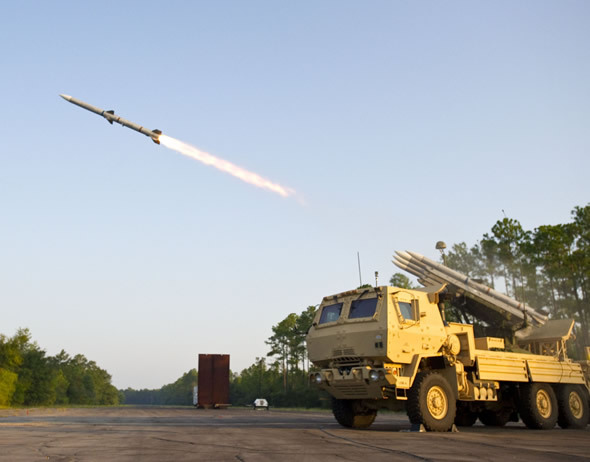 These missions will soon evolve as RPAs become operational, and augment existing radar and space-based sensors, providing midcourse tracking and target discrimination, to help targeting ground and ship-based missile defense interceptors. 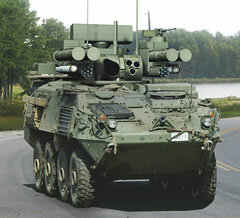 In the next phase MDA will equip even larger unmanned platforms with high-power laser systems, to perform boost-phase intercept. 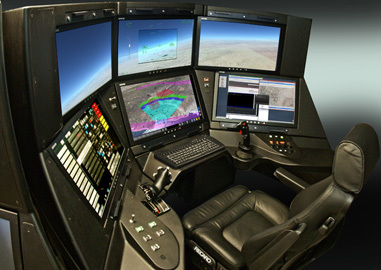 The agency plans to demonstrate such systems in 2021. 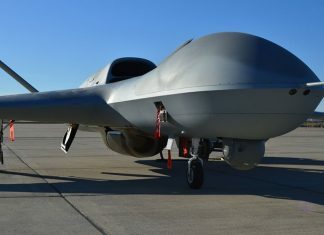 General Atomics Aeronautical Systems Inc (GA-ASI) has successfully demonstrated the command of the Predator C Avenger stealth drone from a new, Advanced Cockpit Ground Control Station’s (GCS’). 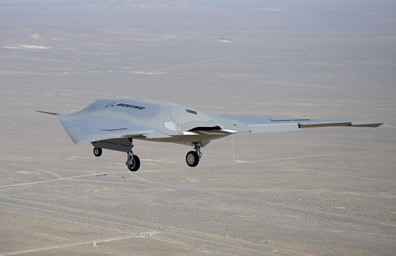 Boeing made Phantom Ray unmanned airborne system (UAS) successfully completed its first flight April 27 at NASA's Dryden Flight Research Center at Edwards Air Force Base, Calif. "Autonomous, fighter-sized unmanned aircraft are real" Program manager comments. 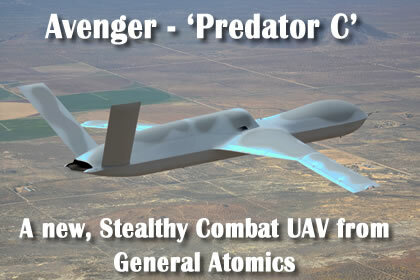 General Atomics began flight testing of the new, multi-mission jet-powered Predator C Avenger Unmanned Aerial System. The aircraft continued flight testing since its first flight in April 2009. 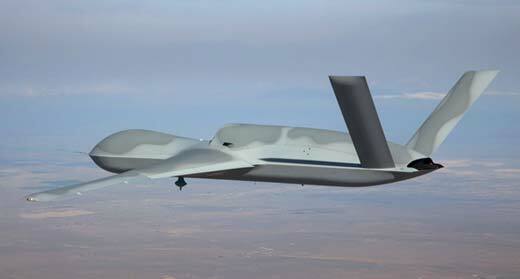 A second, slightly larger Avenger is currently in production, scheduled to join the first aircraft later in 2010.